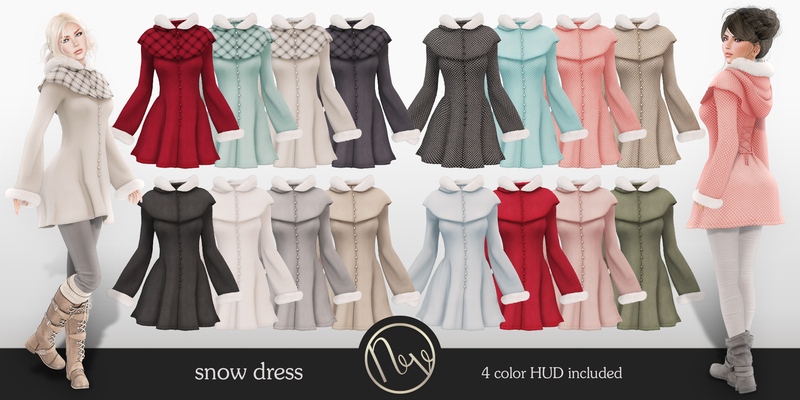 Neve is happy to join The Liaison Collaborative (TLC) this December with a brand new whimsical Winter dress with realistic soft fur cuffs. This dress is available exclusively at the event location for a limited time only – don’t miss out! TLC opens at 3pm SLT, December 7th. Available exclusively at the event location. This entry was posted on Wednesday, December 7th, 2016 at 3:50 pm	and posted in Uncategorized. You can follow any responses to this entry through the RSS 2.0 feed.